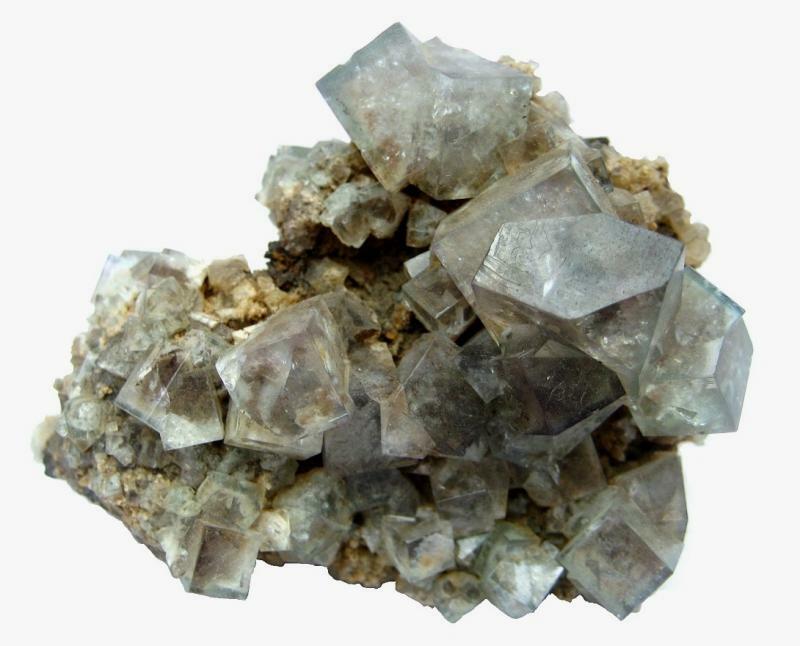 So we can expect to see fluorite and some other interesting minerals from this county. 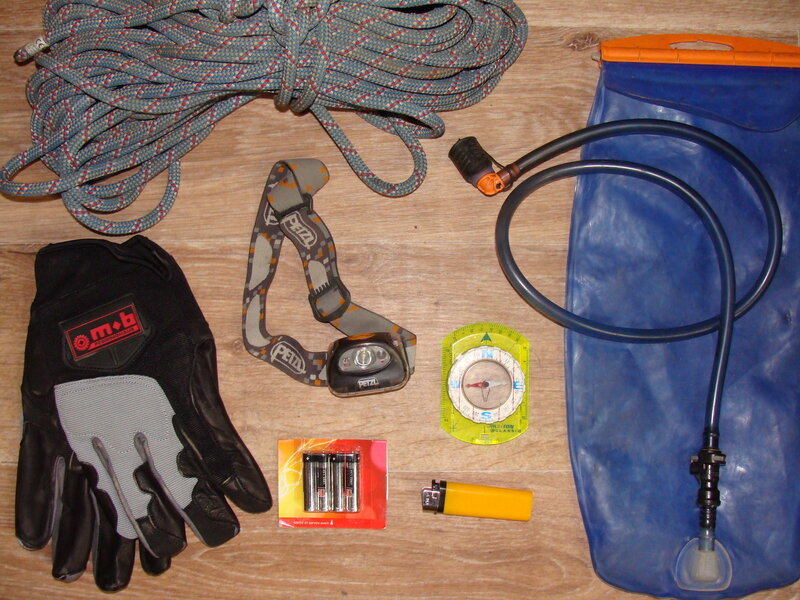 A few things are on my 'wish to see' list. Cambokeels, Weardale, Co Durham, England, UK. 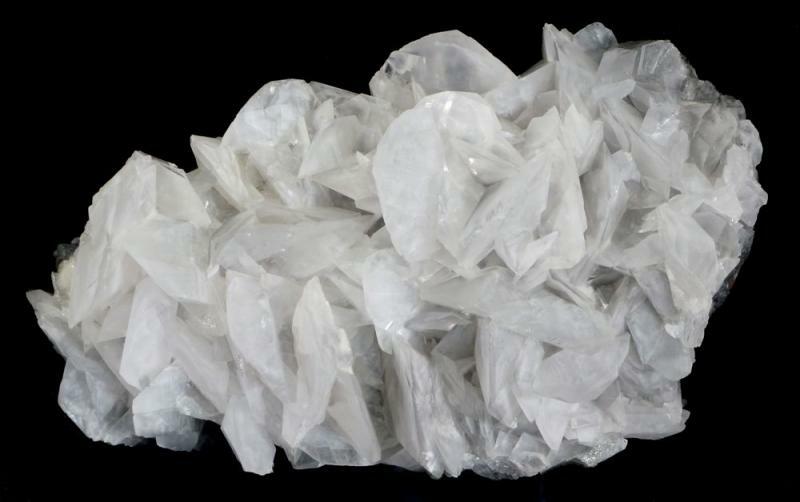 14 cm specimen with lustrous crystals to 35 mm. 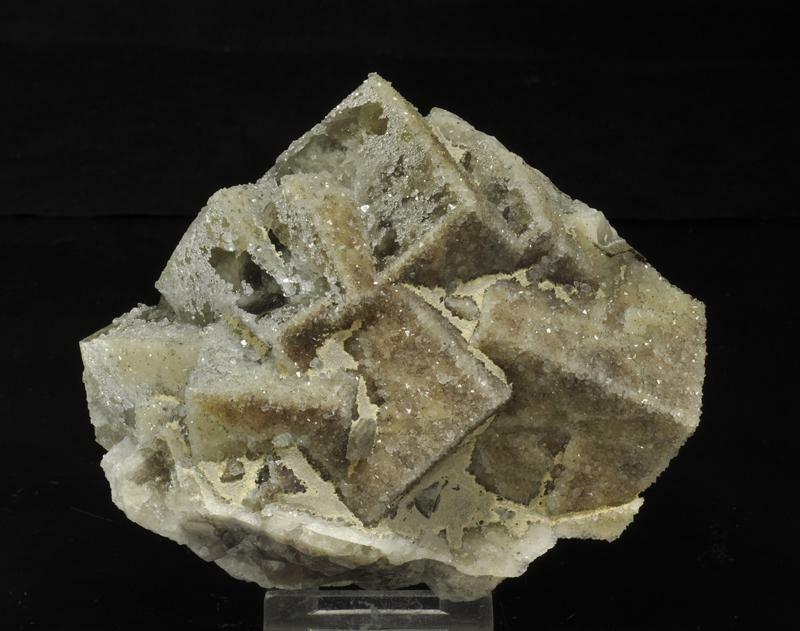 A fine fluorite penetration twin from Blackdene, ex Arthur Scoble. 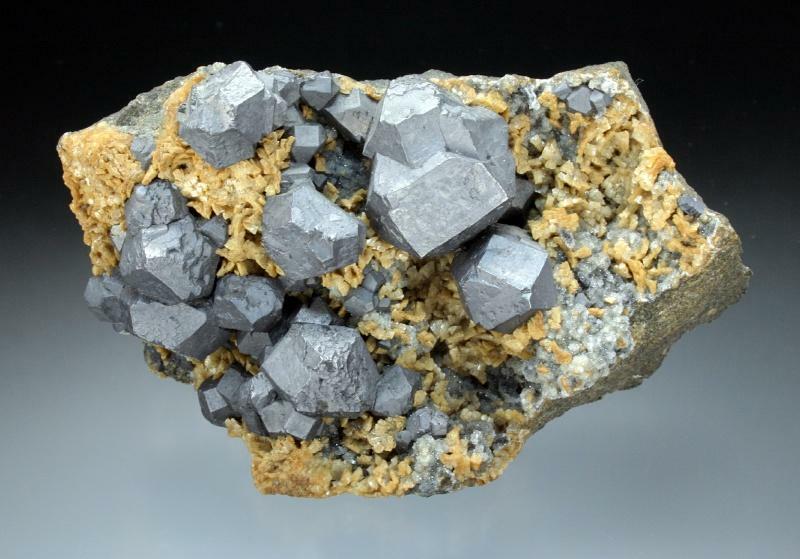 Blackdene Mine, Ireshopeburn, Weardale, North Pennines, Co. Durham, England, UK. 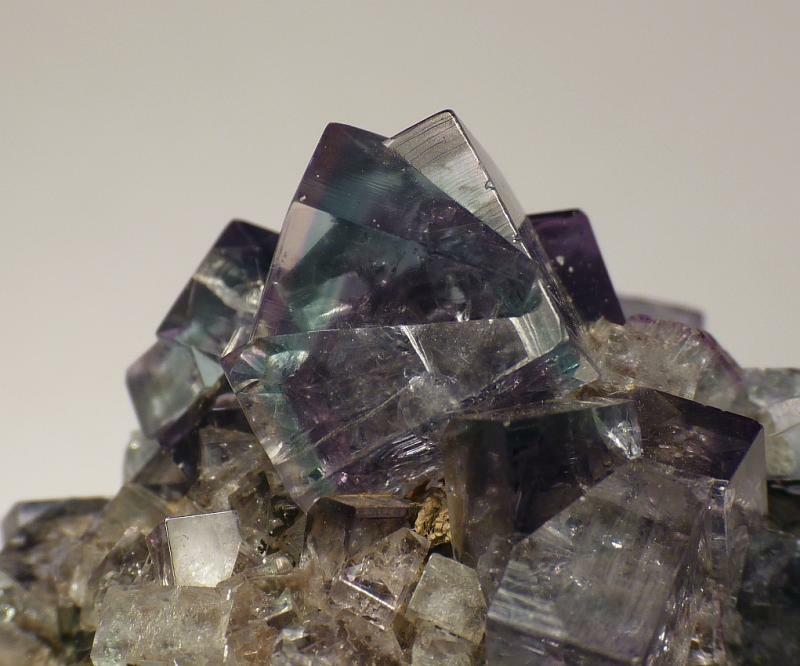 A fluorite from Killhope and a photo of the Park Level portal. 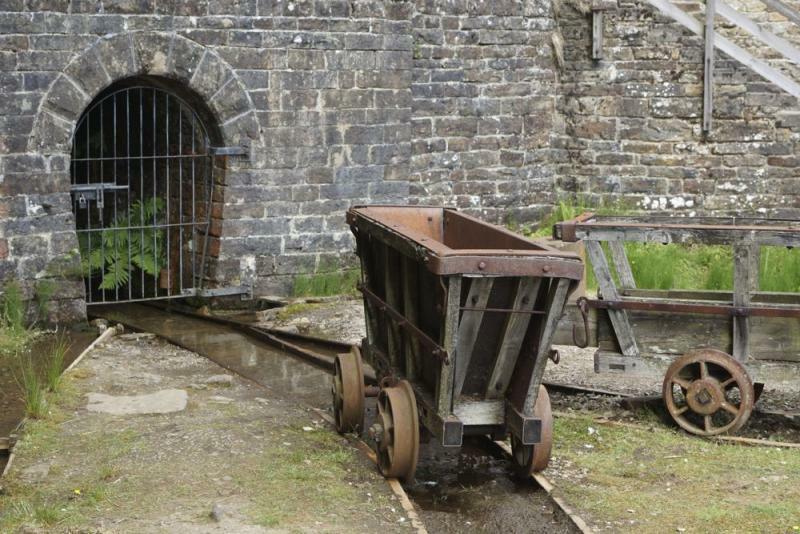 "For 40 years all the ore came out of the mine through this entrance and all the pit props, stones for arching, rails and explosives went in this way." Middlegrove Vein, Killhope, Weardale, Co Durham, England, UK. 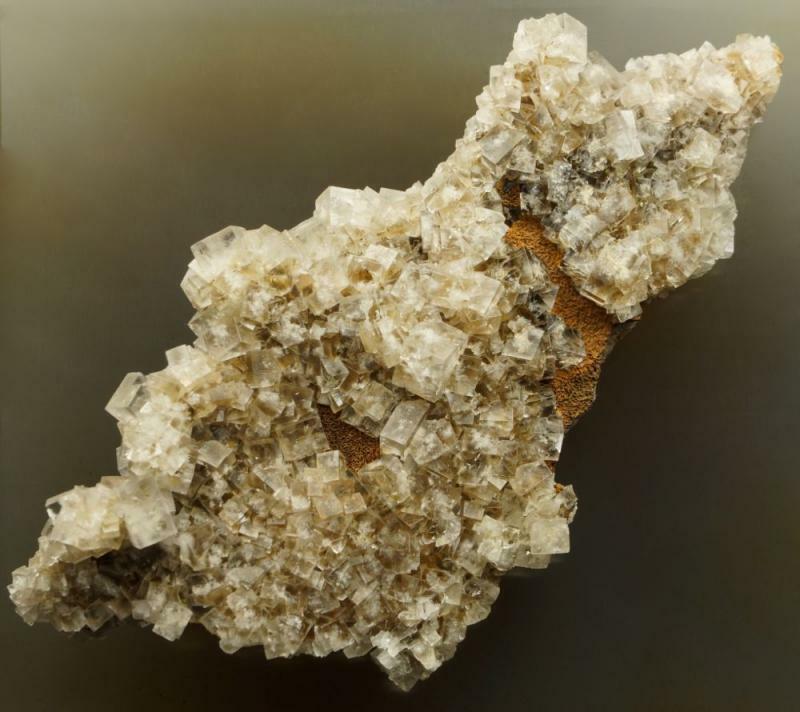 85 mm specimen with crystals to 6 mm. Park Level portal, Killhope Mine. 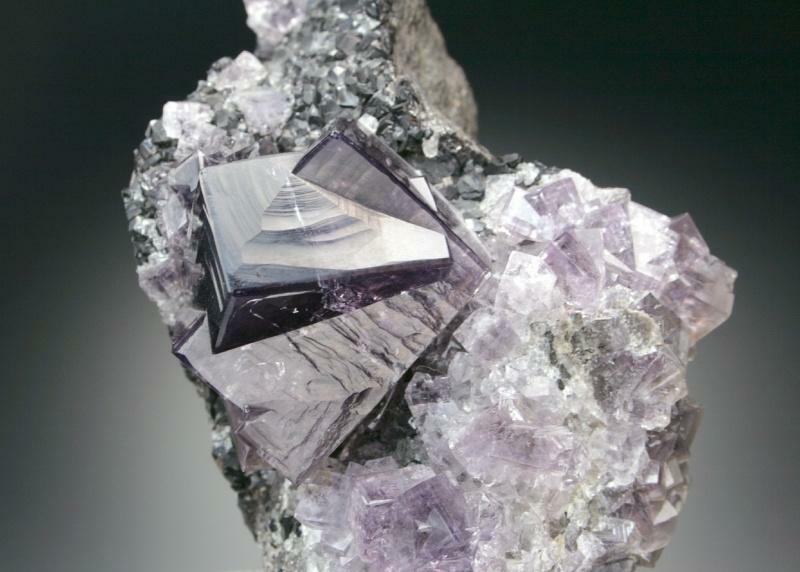 A large, gemmy, wine-purple penetration twin fluorite, for which the Boltsburn Mine is famous. 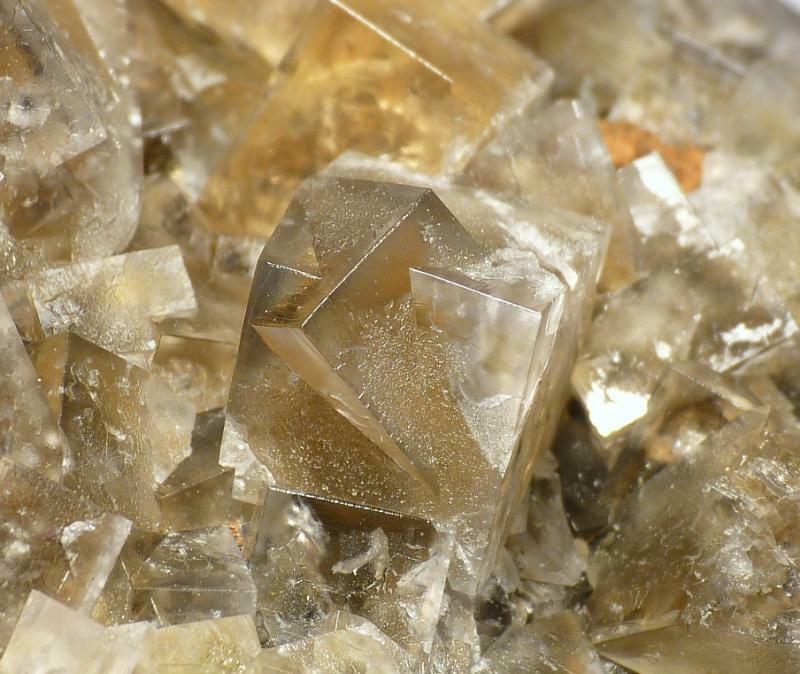 The flats that produced these crystals were found by miners around 1894 and worked until the mine closed in 1931. 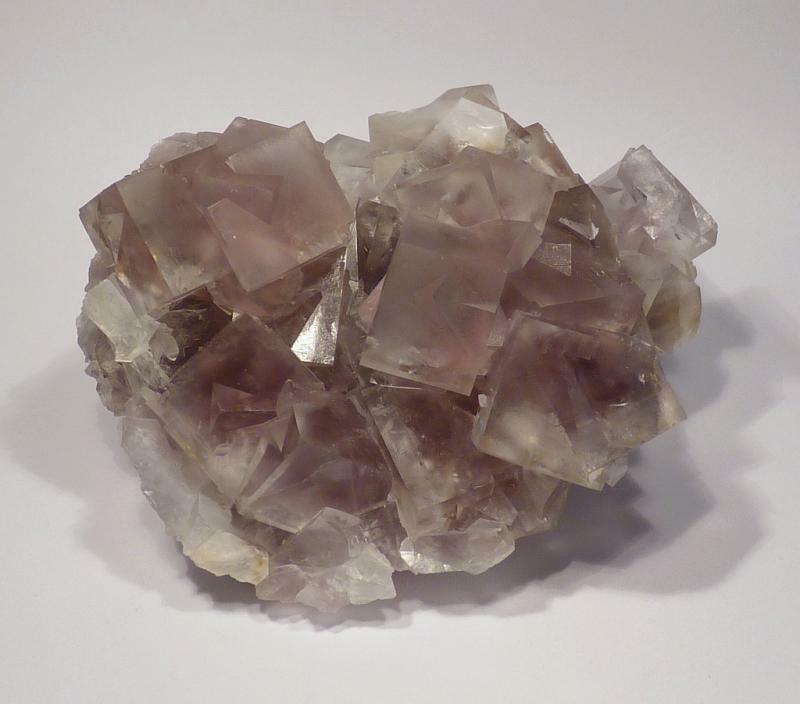 This specimen was part of a collection assembled by an unknown person at the Darlington Library (County Durham) during the 1920s. 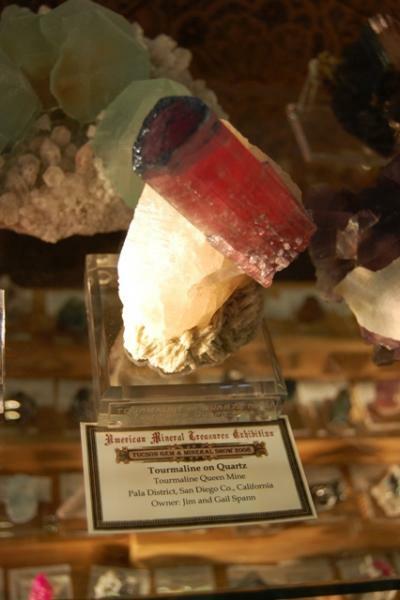 It is likely that the collection was never on display and was boxed and subsequently forgotten. 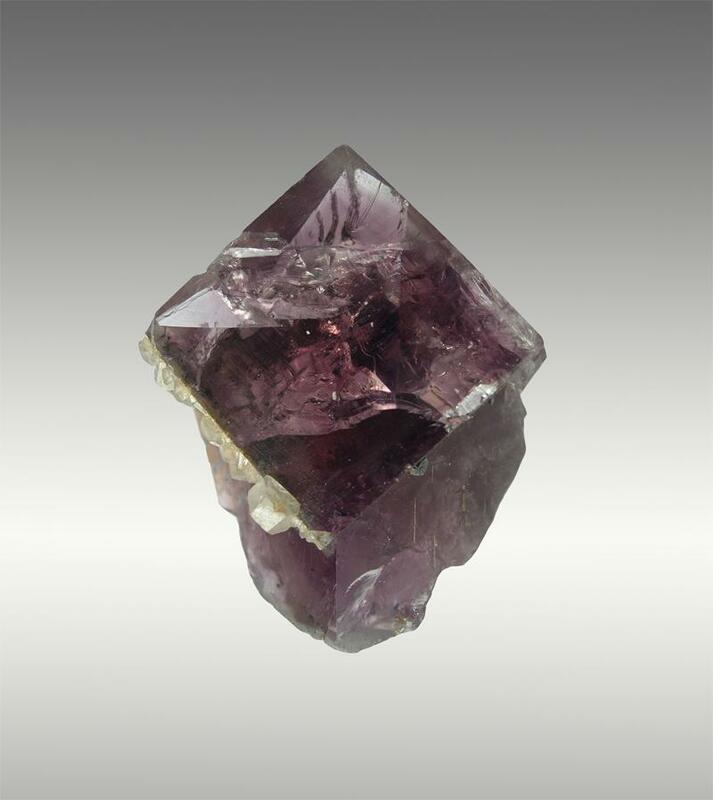 The collection, which contained numerous fluorites from the Boltsburn, as well as other Weardale and West Cumbrian mines, was discoverd in the early 1990s and sold on. 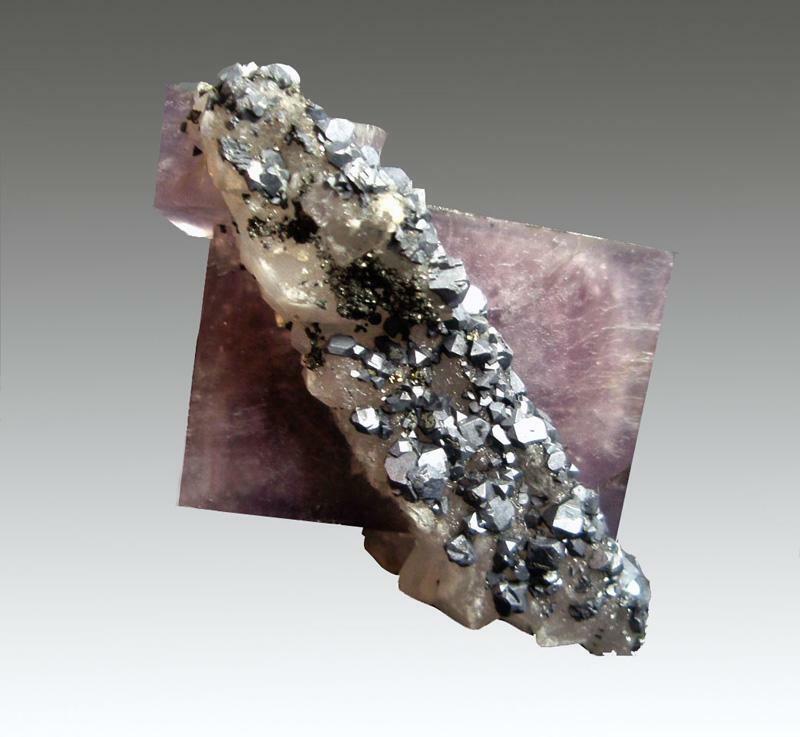 Galena with Siderite from the Boltsburn Mine. 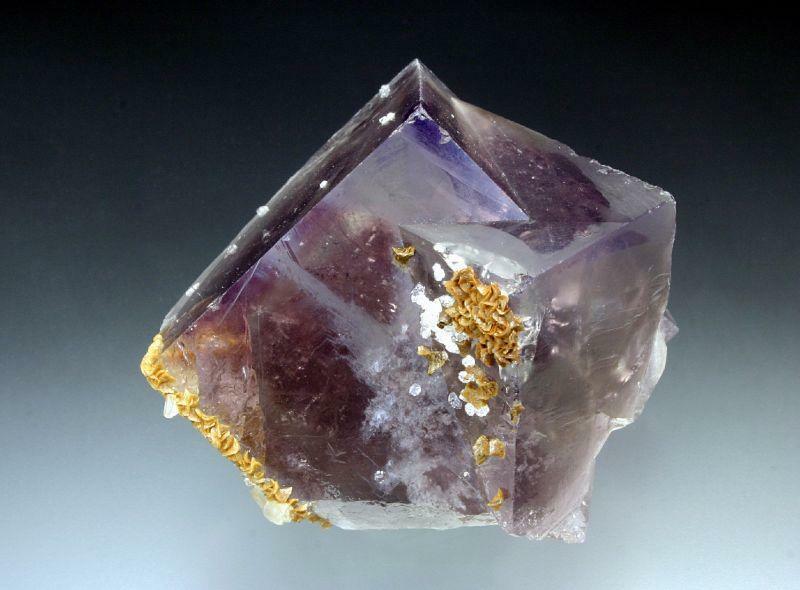 A very unusual fluorite crystal with a band of quartz running diagonally across the crystal and covered with small galena crystals, typically 2-3mm. 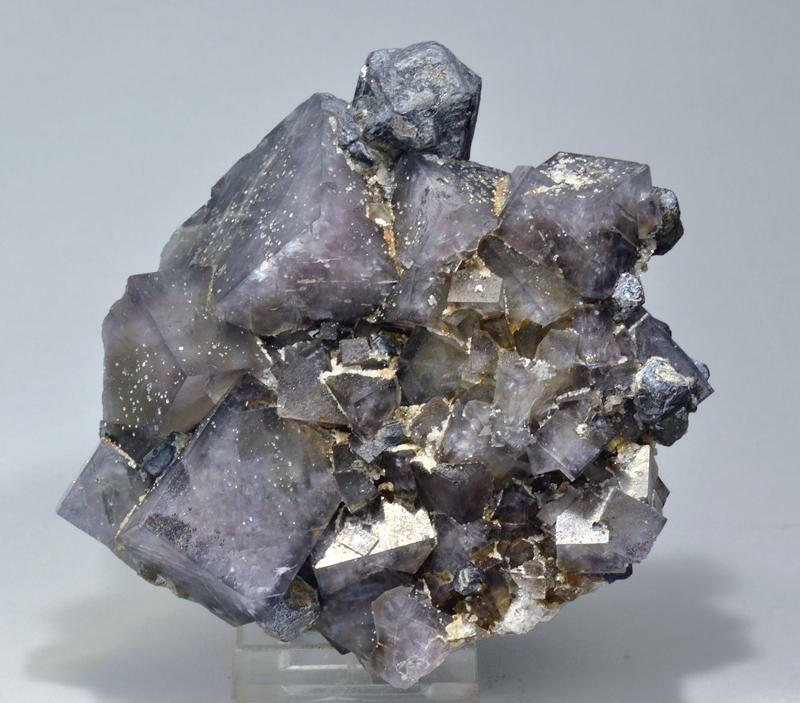 Also minor pyrite. Repatriated from Tucson in 2011. I wonder how this formed? I often wonder how things form myself James. Some just seem bizarre. 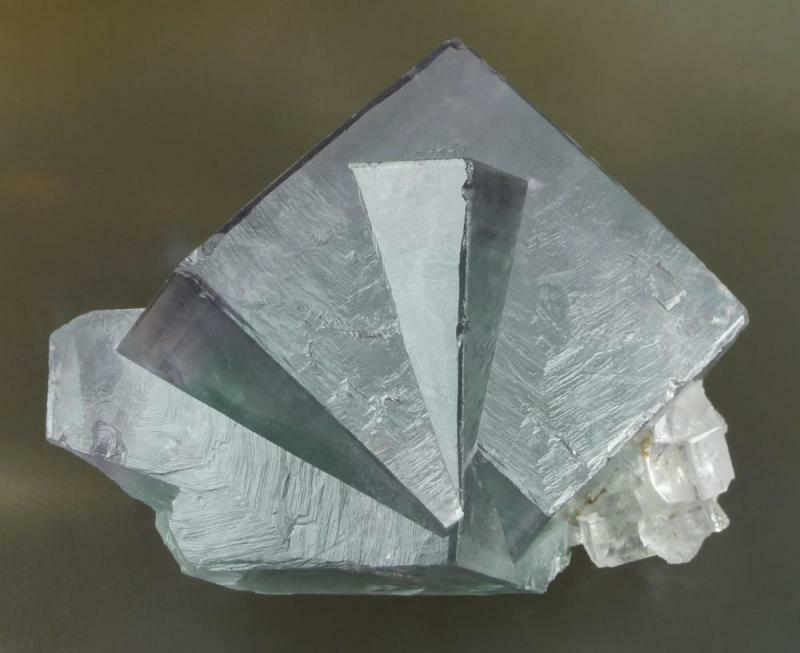 In the case above, why the selective band of quartz and then why the selective galena on the quartz. Anyway, beats me. 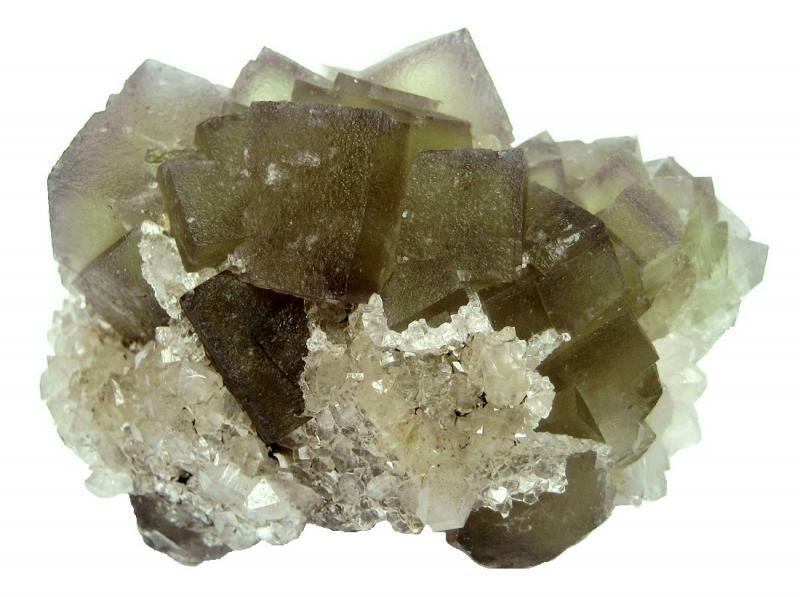 Another Boltsburn fluorite, main crystal 45x45mm, with calcite crystals on one face. 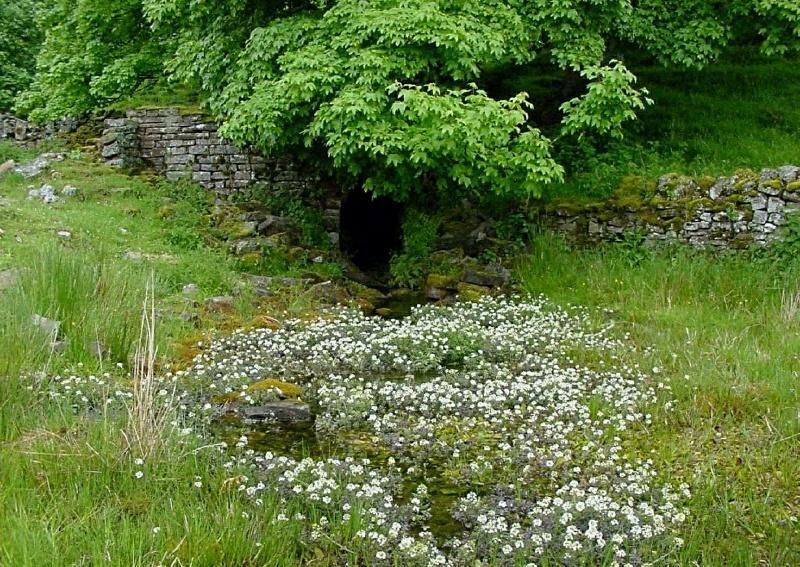 The Frazer's Hush Mine was located at the upper end of Rookhopeburn, a couple kilometers west of the Boltsburn, and not far from Allenheads in Northumberland. The mine was a modern one, having been worked from the 1970s until 1999. 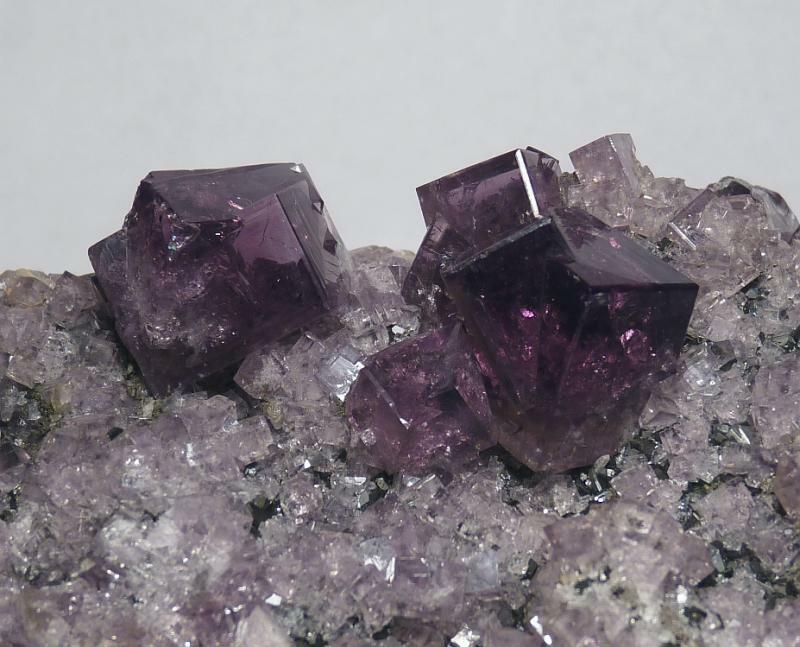 In the late 1980s a series of cavities were encountered on the Greencleugh vein that produced some of the best purple fluorites found from the region in recent years. The mine site has since been reclaimed and very little remains to be seen. Middlehope Shield Mine was a major Weardale lead-producer during the first half of the 19th century, a documented find of green fluorite occurred here in 1818. 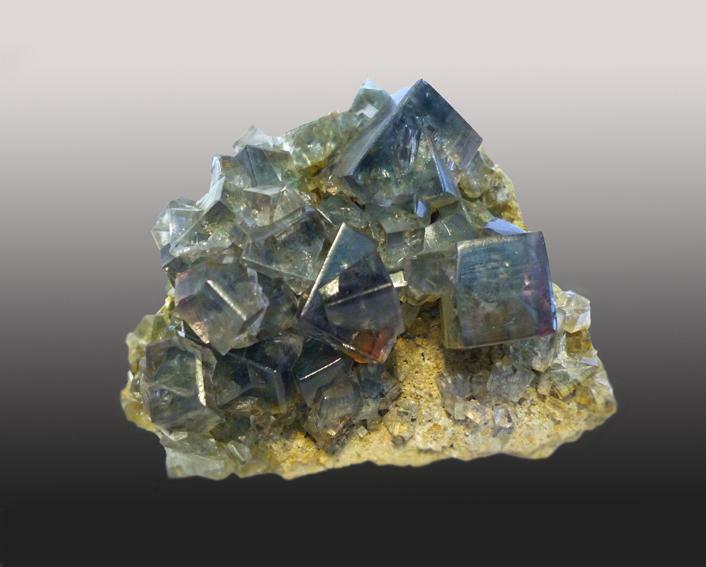 Very distinctive specimens from this occurrence can occasionally still be found, but the locality is not widely known and specimens are usually labelled as coming from the much-better known source of Weardale green fluorite, Heights Mine (including this one! ), which did not work this early. 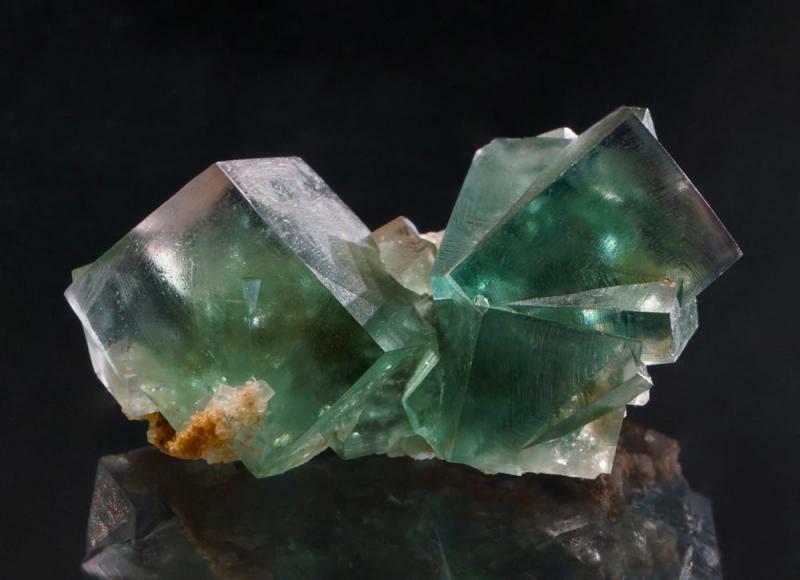 Heights, now long closed, is now obviously starting to disappear from mineral dealer's memories, I found one Middlehope piece at this year's Ste Marie show labelled Rogerley Mine, which currently produces a lot of green fluorite for the collector market. It does make you wonder what percentage of unlocated specimens are incorrectly attributed by overenthusiastic dealers with only a cursory knowledge of an area . 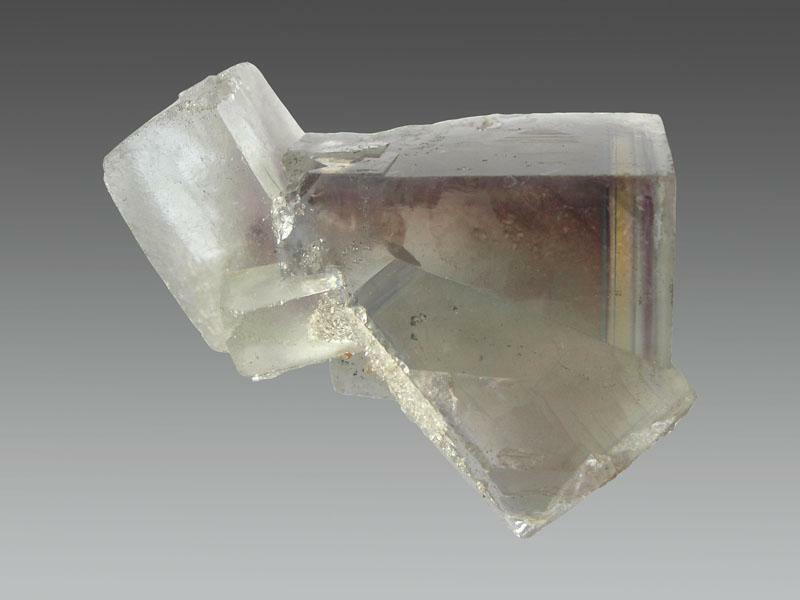 Another fluorite specimen, most likely from the 1818 find at White's Level, Middlehopeburn. 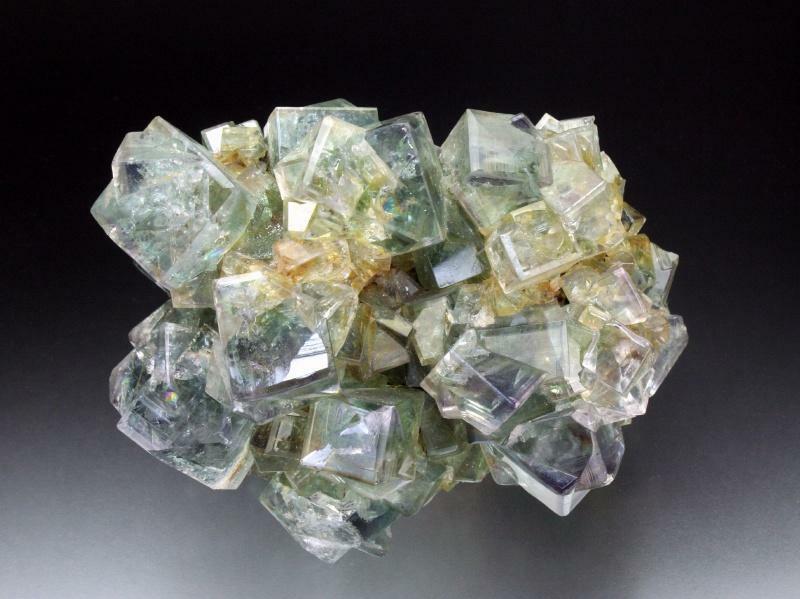 As with most green fluorite from Weardale mines, the color of these is somewhat unstable and many of the White's Level specimens have faded a bit over time. This one came with a label giving the location as "Heights Meadow." I've never found reference to a location of that exact name. The portal to White's Level as seen in June 2003. Heights Quarry, Westgate, Weardale, Co.Durham, England, UK. 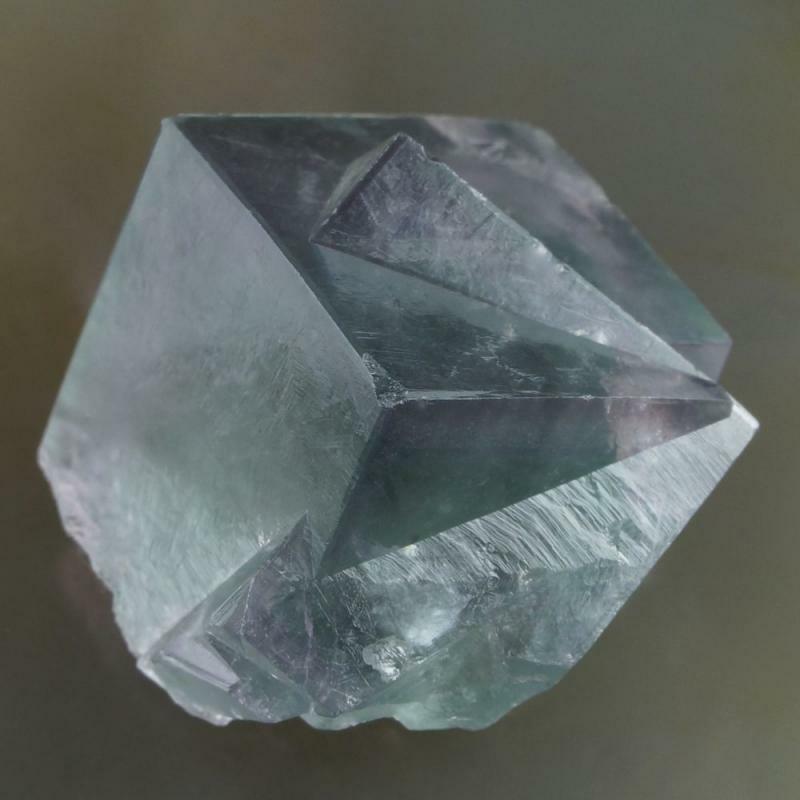 Fluorite from the Blue Circle Cement Quarry.